This is a wonderful Yaka Fetish Statue. 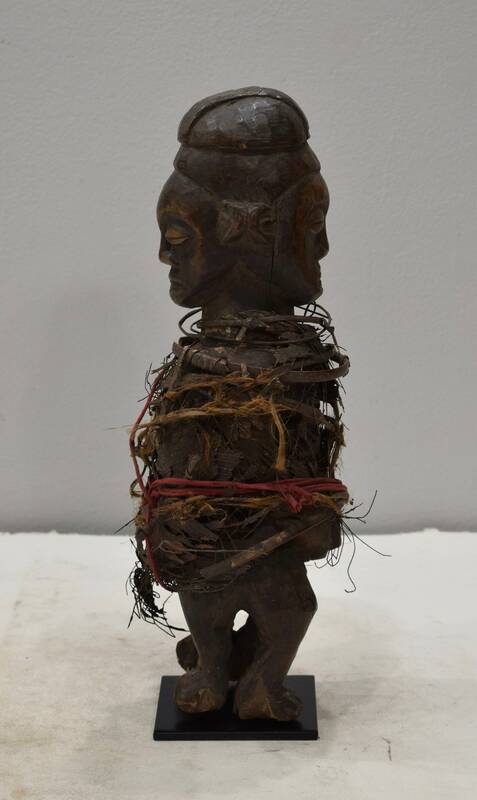 The arts of the Yaka people are very much alive today. 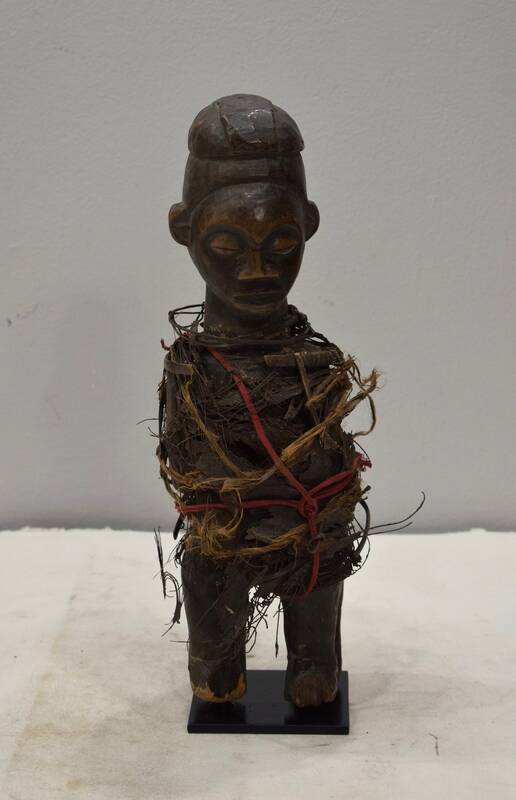 The statues that contain magic ingredients, the biteki (nkisi), are multi-functional and sometimes have contradictory roles. The statues were used to heal and to cause illness. The medications are placed in the figure’s abdomen, which is closed up with a resin stopper. 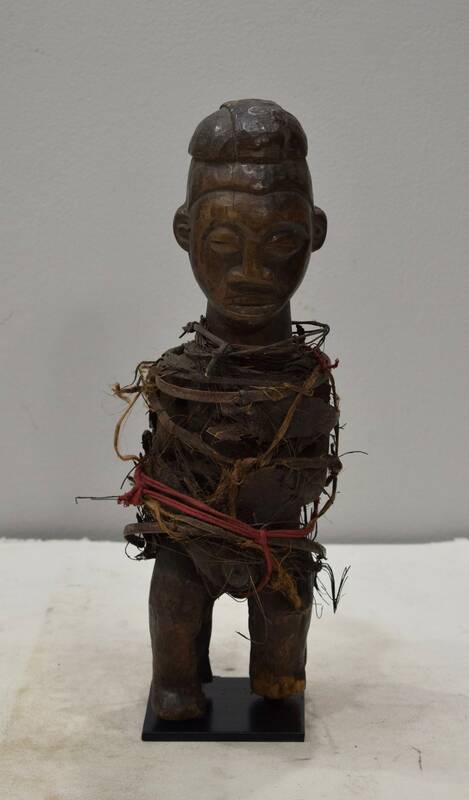 All nkisi figures are manipulated by a diviner to activate a force which can either inflict illness or protect one’s clan from illness or harm, depending upon the particular set of circumstances. 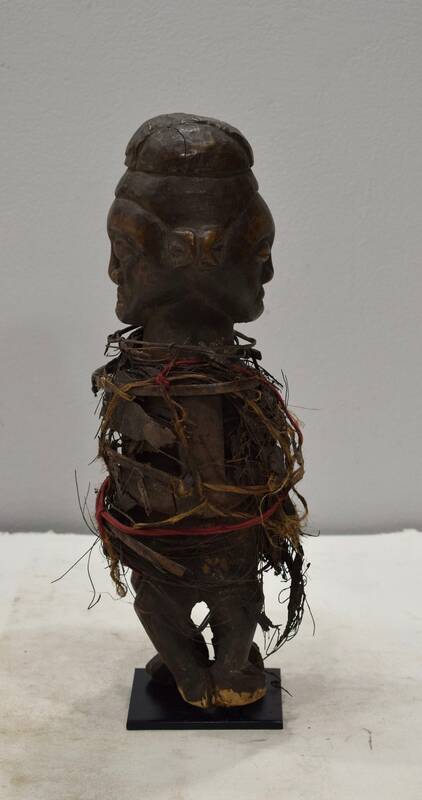 The diviner has an important position in Yaka society because he owns and activates powerful objects, including some masks, that can protect or harm. A great addition to your collection or home.